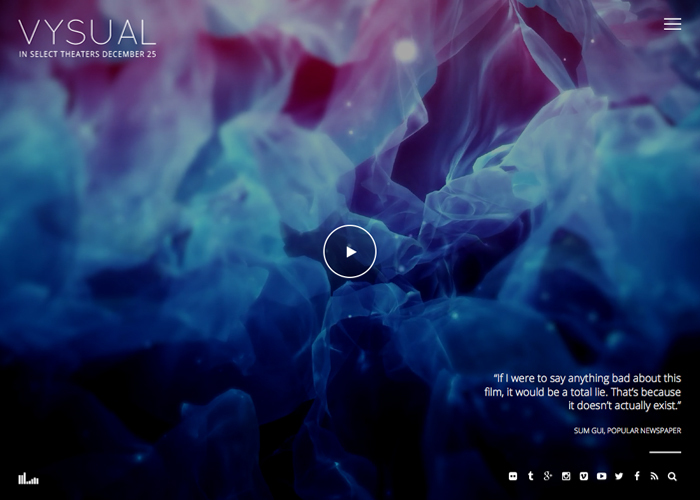 VYSUAL is a WordPress theme built specifically for film campaigns and movie marketing (i.e. “Official Movie Site”). This theme utilizes built-in features of WordPress, making it really easy to use and setup. Available now on ThemeForest!